Due to manufacturer's restrictions we are unable to ship LED Lenser products to Great Britain. The LEDLenser Neo is the perfect solution to both seeing in the dark and being seen, thanks to its wide angle 90 lumens LED bulb at the front and a red bulb at the back. Great for leaving hands free when recording times at dark locations during training"
"great quality. product will buy again." 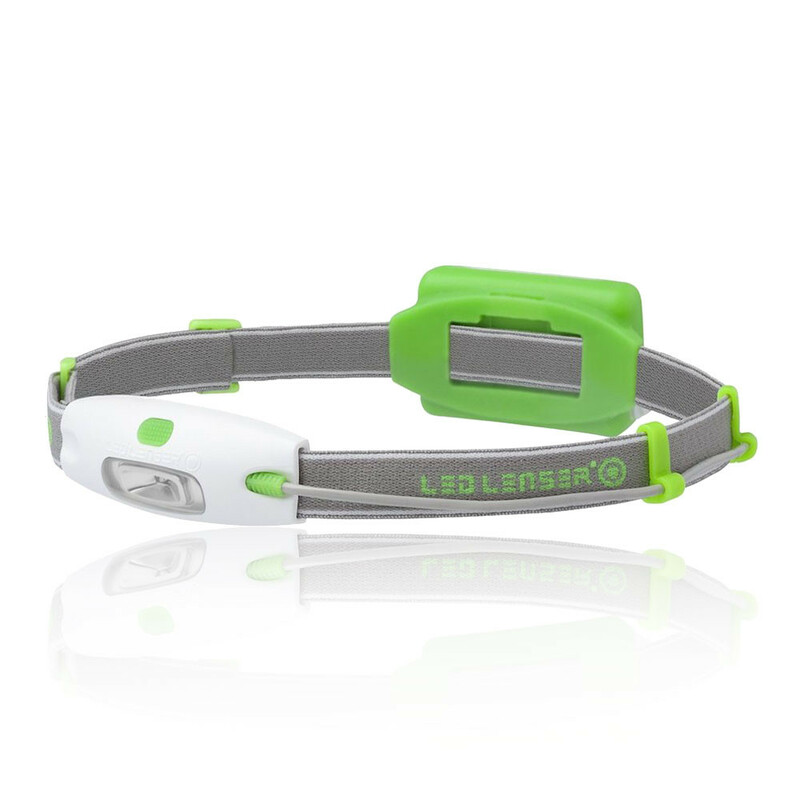 The LED Lenser Neo headtorch is the perfect tool for seeing at night. The 90 Lumen LED cuts through the darkness with a strong and wide beam illuminating your path, while the rear LED lets people know you are there. The 40-hour battery life also means that you won't have to worry about being left stranded in darkness on your nightly run. The torch also has multiple functions. There is an eco setting which makes it so you can read and other such tasks and a flashing mode that means it can be used as an SOS light if the situation ever arise. The one handed switch also means that this torch is very easy to operate. The IPX4 also means the weather is not a worry as it is both water and dust resistant. Many revolutionary products first saw the light of day in a garage. This was also the case with the first Ledlenser. When Harald and Rainer Opolka founded the company Zweibrüder Optoelectronics in 1993, they really didn't have much more than a garage, an old Atari computer, a set of tools, a sketch pad and around 1,000 Deutschmarks in seed capital. Today, the former garage company is an international torch and headlamp manufacturer that remains globally unmatched. With over 1,000 employees worldwide, they share the aim of improving a little every day - in everything they do. Ledlenser are therefore continually expanding their product range, scrutinising even tried and tested ideas and increasingly relying on sustainable energy sources. 90 Lumens - Good for 10 metres of wide angle sight. 40 Hours Battery Life - Keeps working for more than a day. Multiple Functions - For increased practicality. One Handed Operation - Switch is on the front so you have easy access. Rear Red Light - Lets others see you. IPX4 - Highly water and dust resistant.